With so many connected car innovations lately, it can be easy to lose focus of what features and innovations consumers want the most. This infographic captures the results of a survey by Wakefield Research in partnership with Spireon. One of the findings indicate that as many as 6 in 10 consumers aren’t familiar with connected cars. 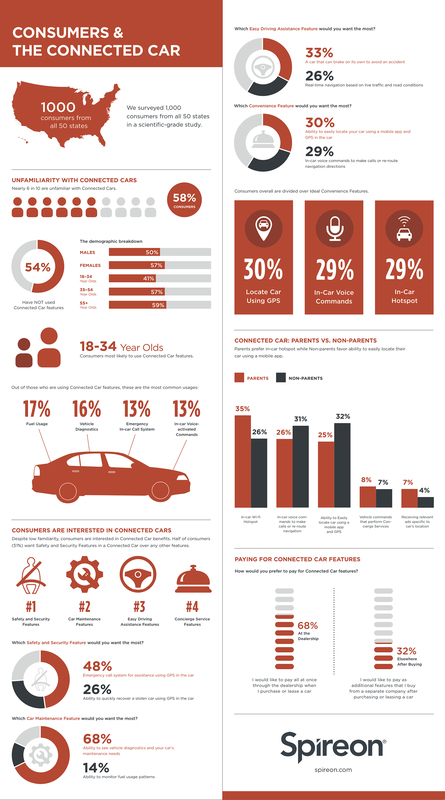 Yet despite unfamiliarity, consumers report that they are interested in connected car benefits, with over half of consumers prioritizing safety and security features over any other connected car feature.